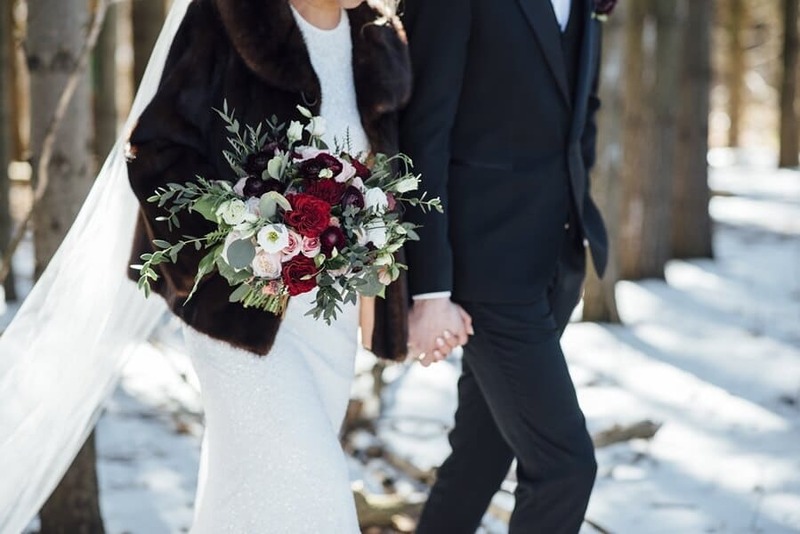 Susan and Robert loved the idea of a charming, elegant winter wedding with tons of sparkle so when it came time to execute their wedding, this couple knew they needed the help of Simply Sienna to bring their vision to reality. 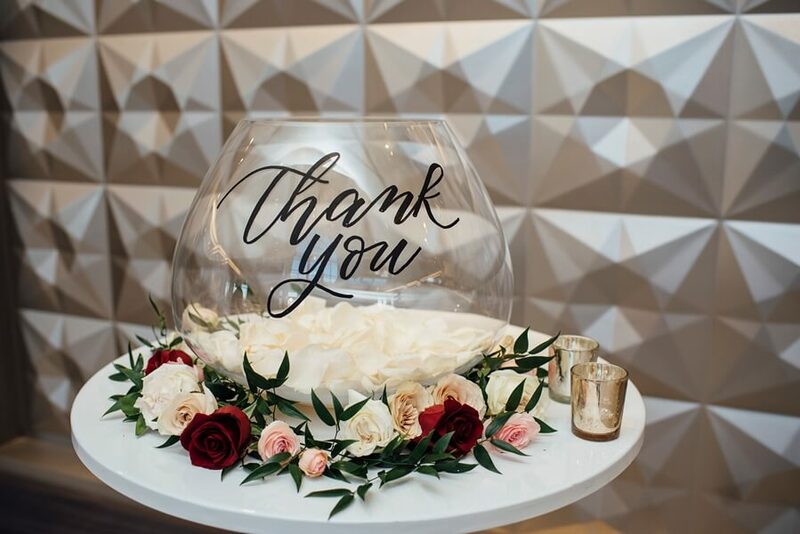 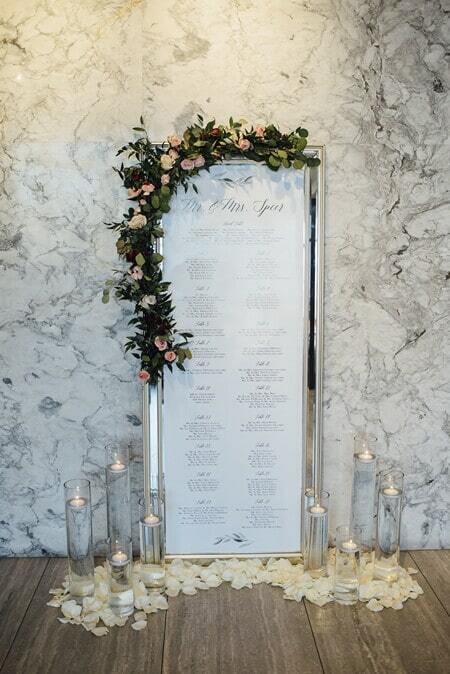 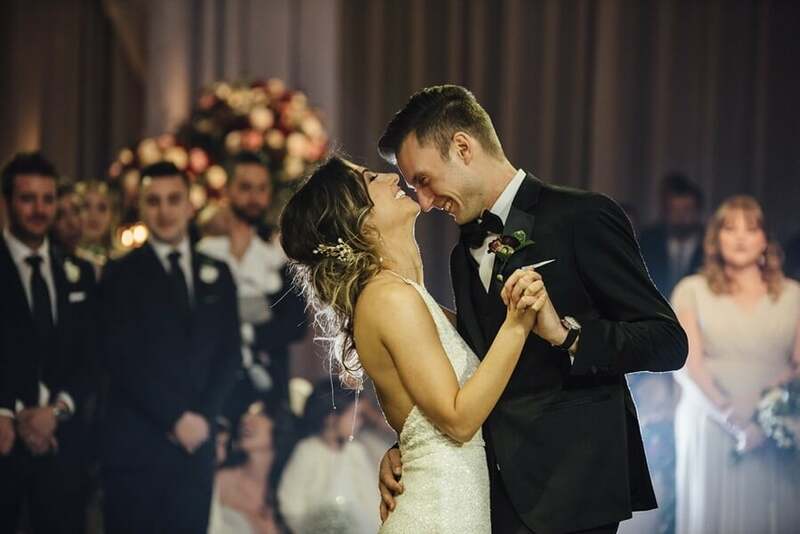 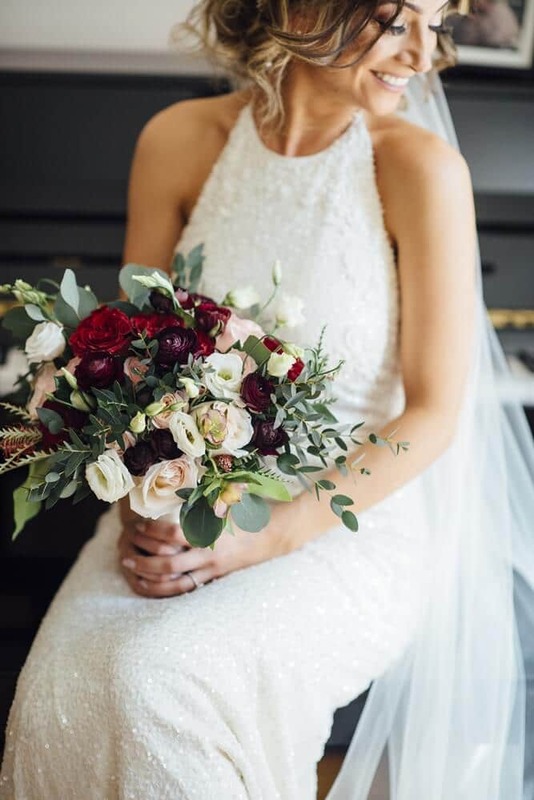 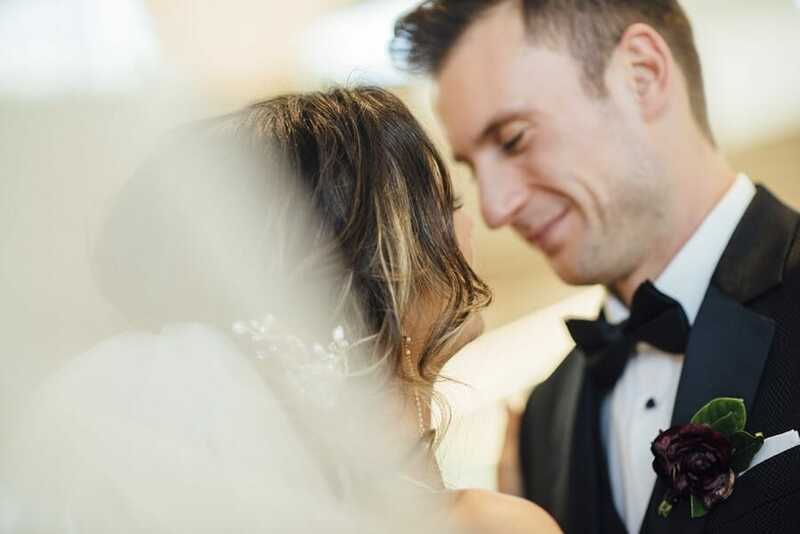 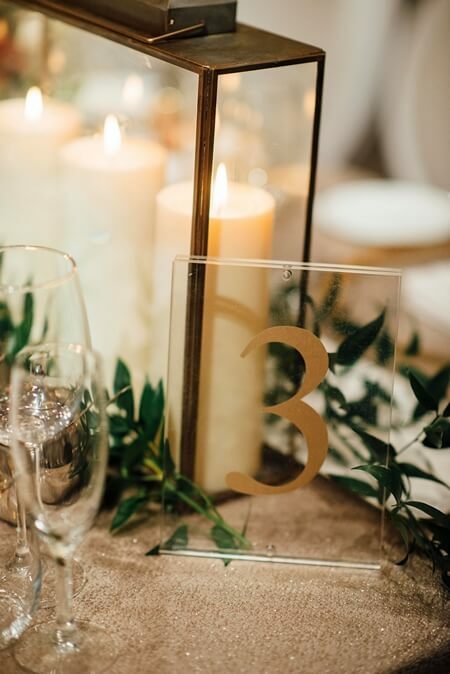 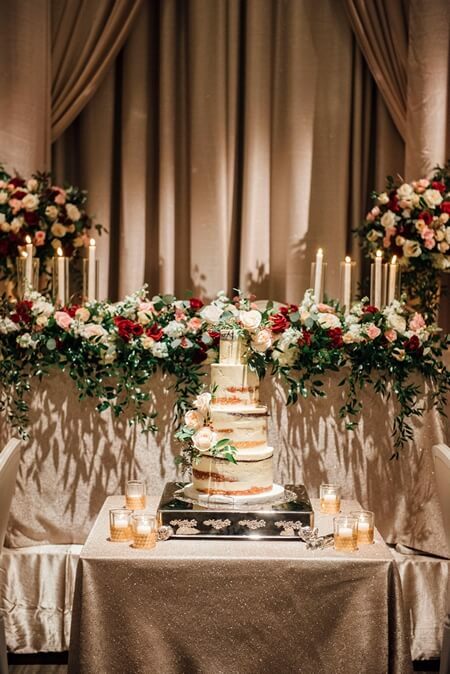 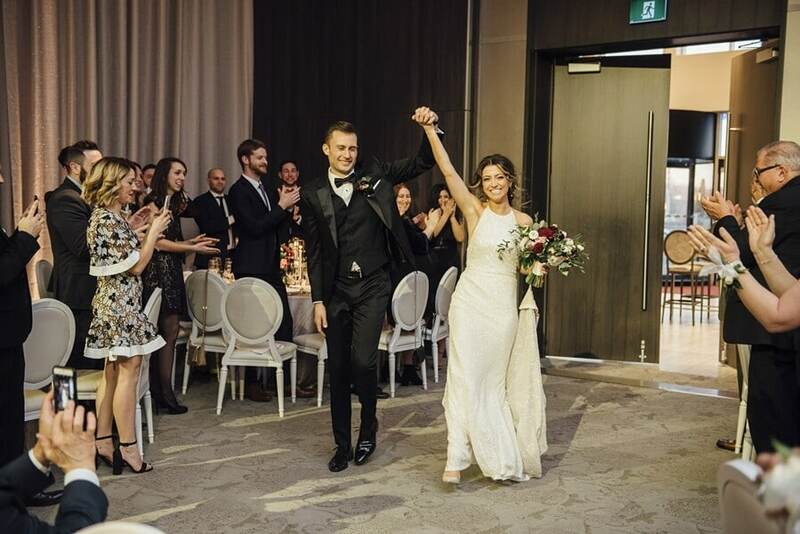 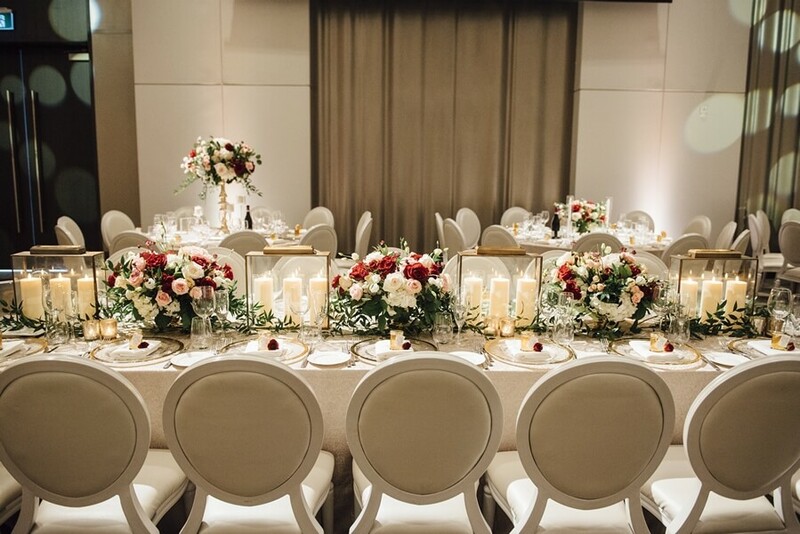 Held at the luxurious Chateau Le Parc Simply Sienna worked with the couple to incorporate just the right amount of winter details to make the wedding reflect the season without having it become too chintzy. 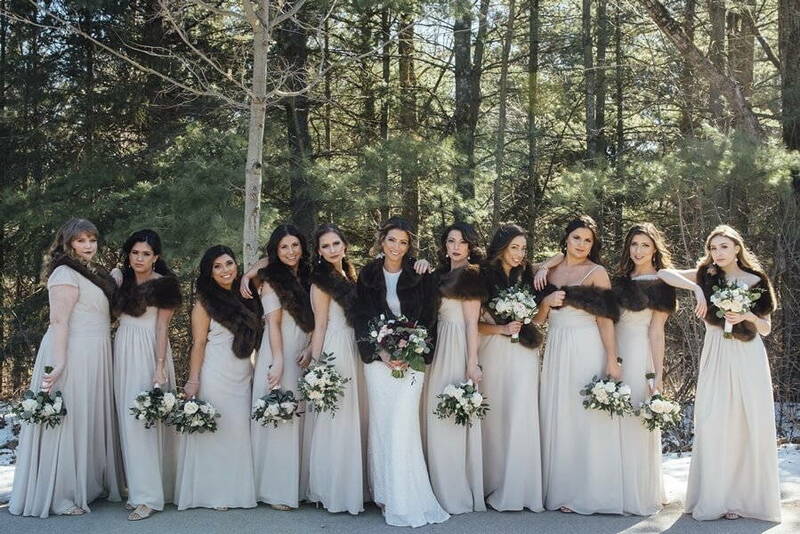 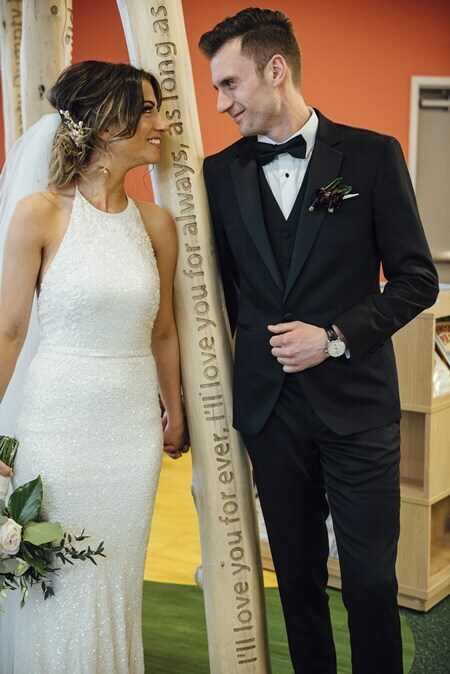 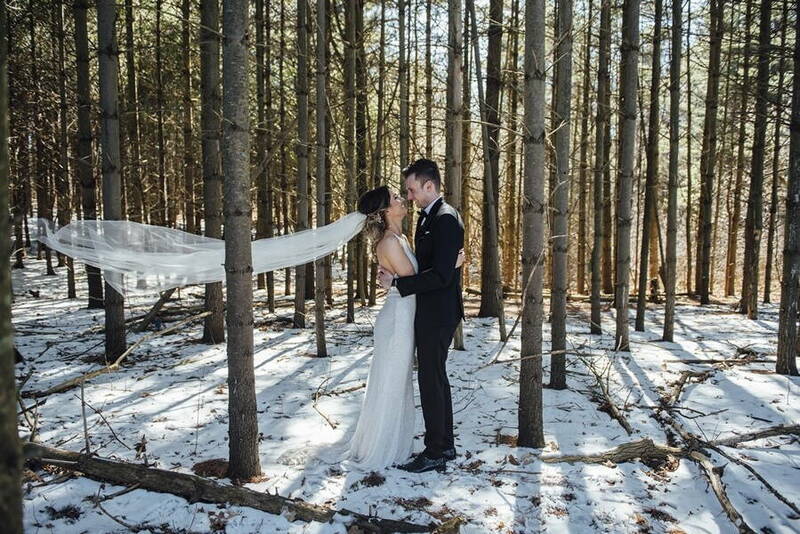 Thanks to Boakview Photography for capturing this wonderful winter day and letting us enjoy this amazing wedding too! 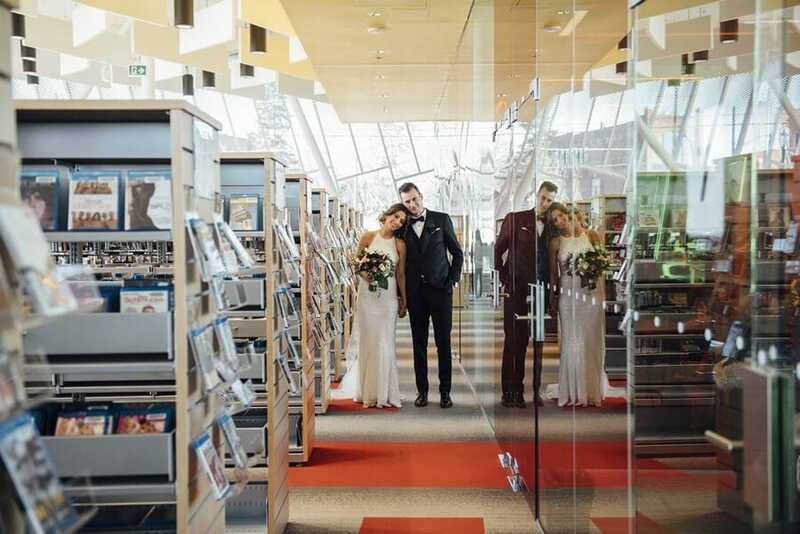 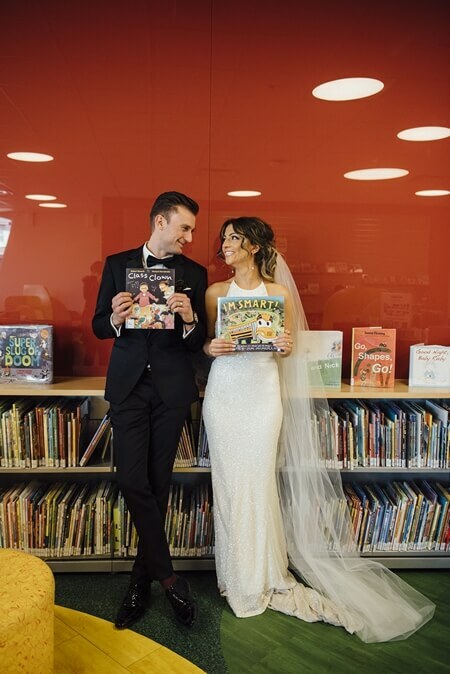 The couple had a romantic photo session in the wintry woods, surrounded by tall thin trees, and inside a cozy library, surrounded by books. 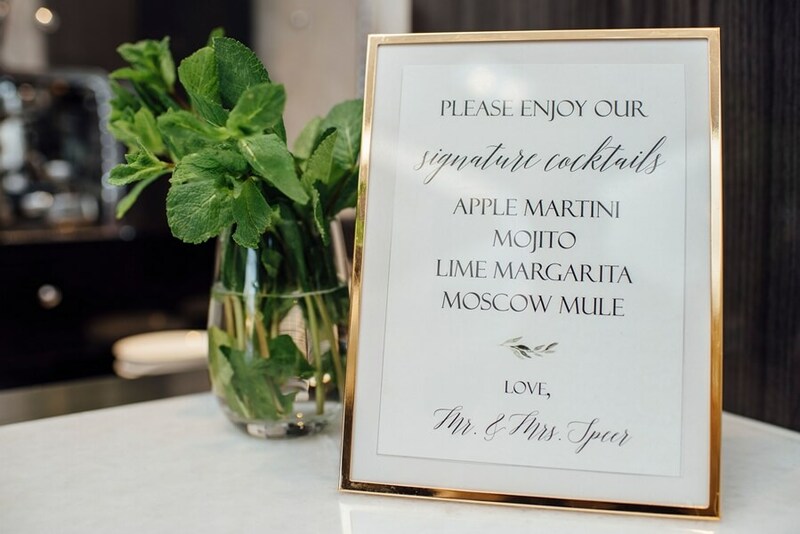 As guests arrived at the dazzling reception, they were greeted with a choice of signature cocktails. 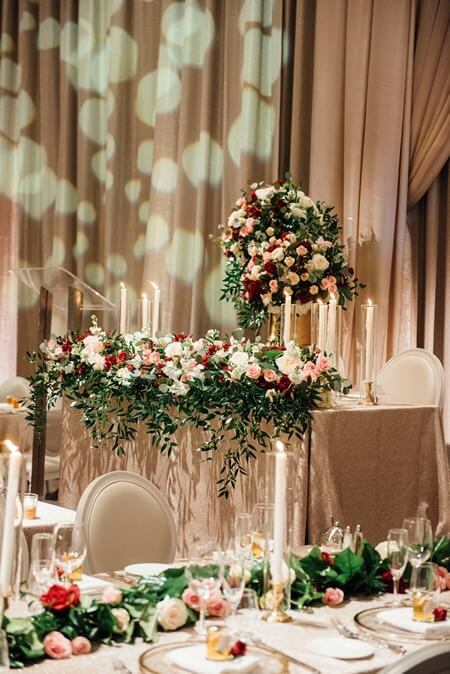 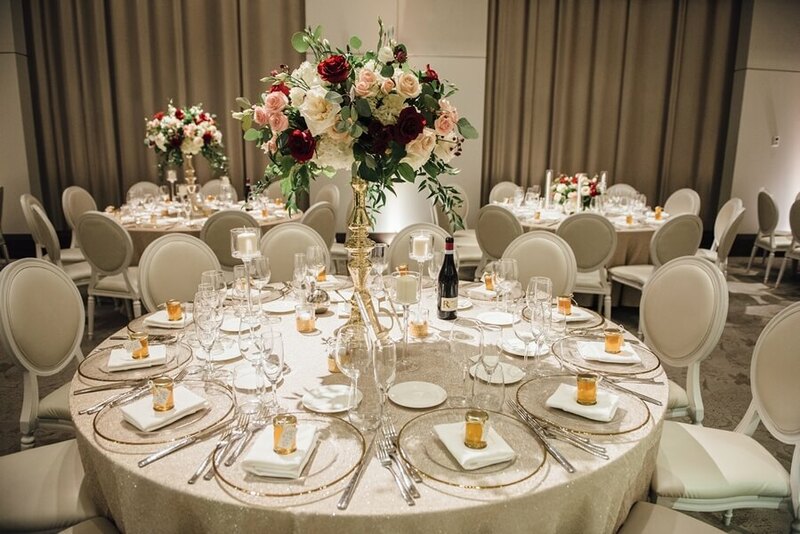 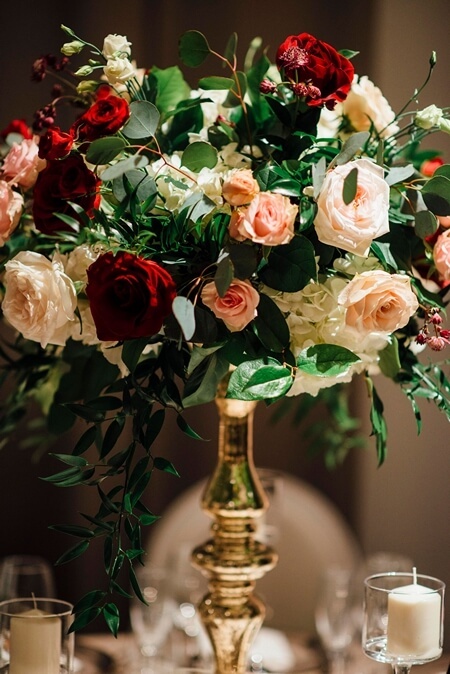 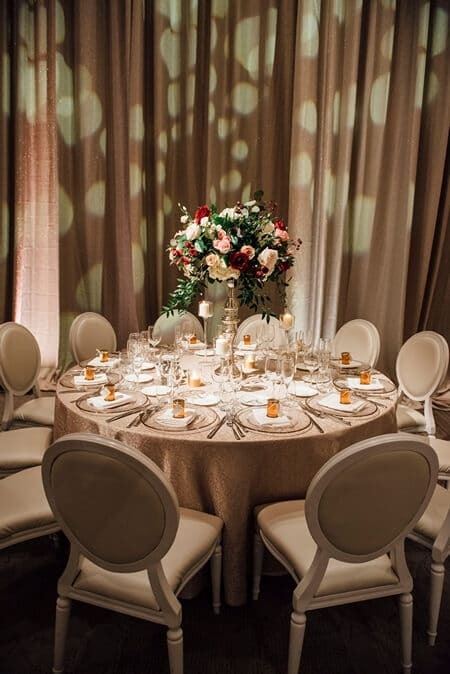 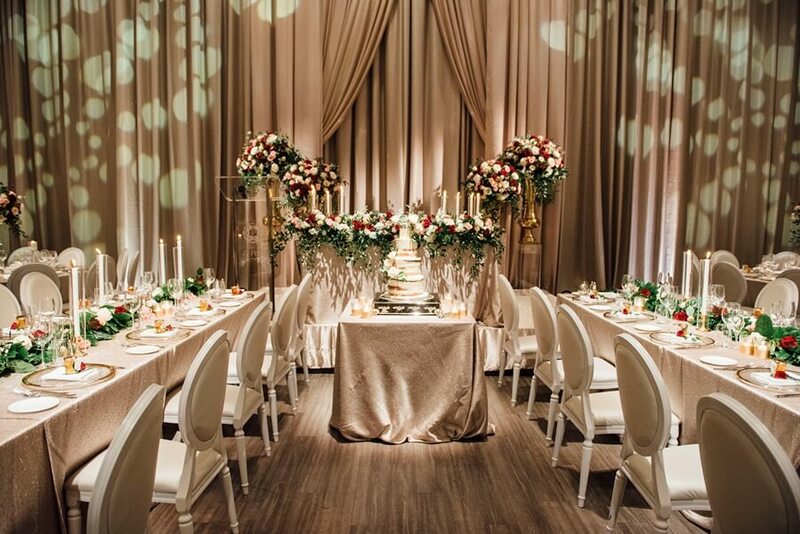 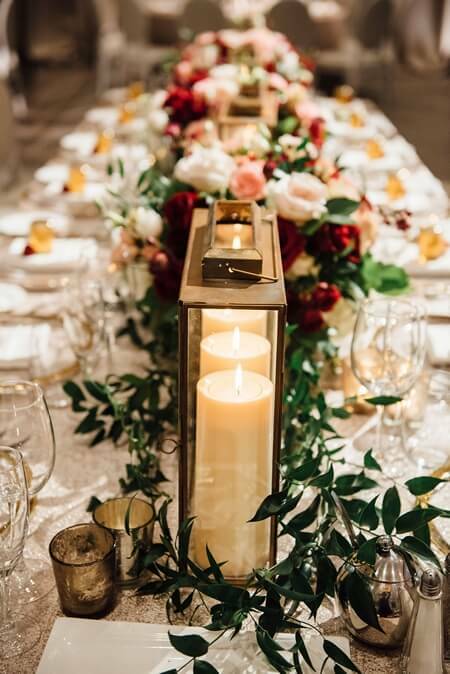 The whole space shone in silver and gold, contrasting nicely with centerpieces of crimson, peach, white and green provided by Fleurisma Events. 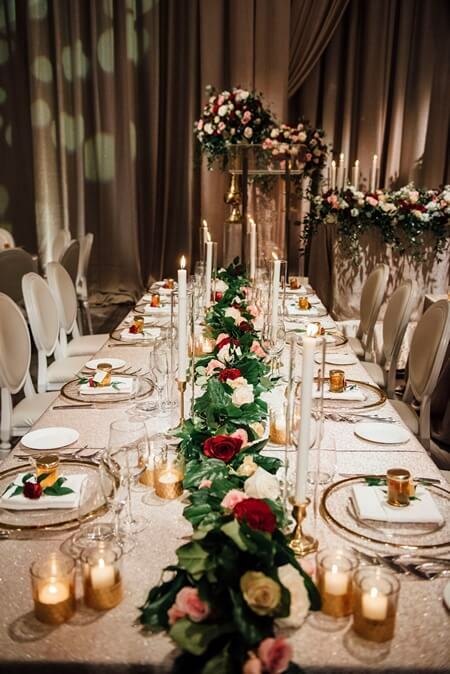 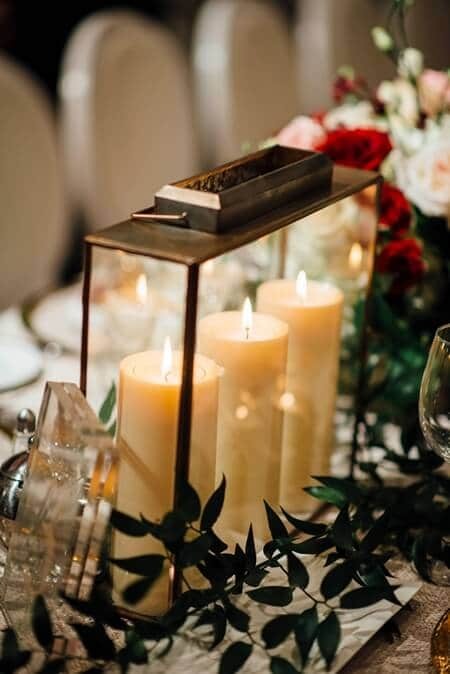 The tables were set with clear, sparkly, gold-rimmed plates, gold vases, candlesticks and lanterns. 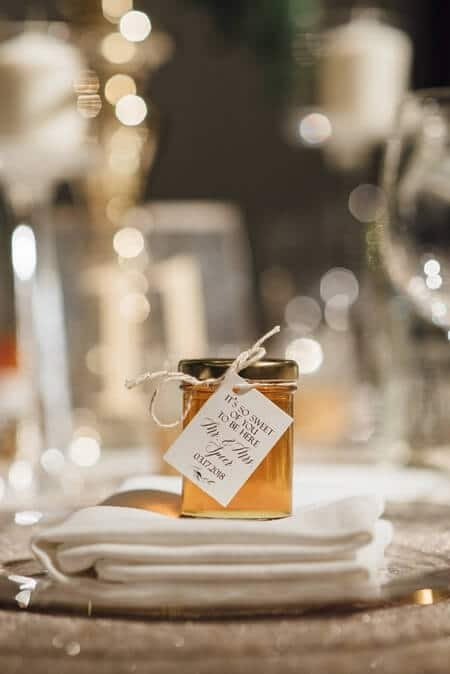 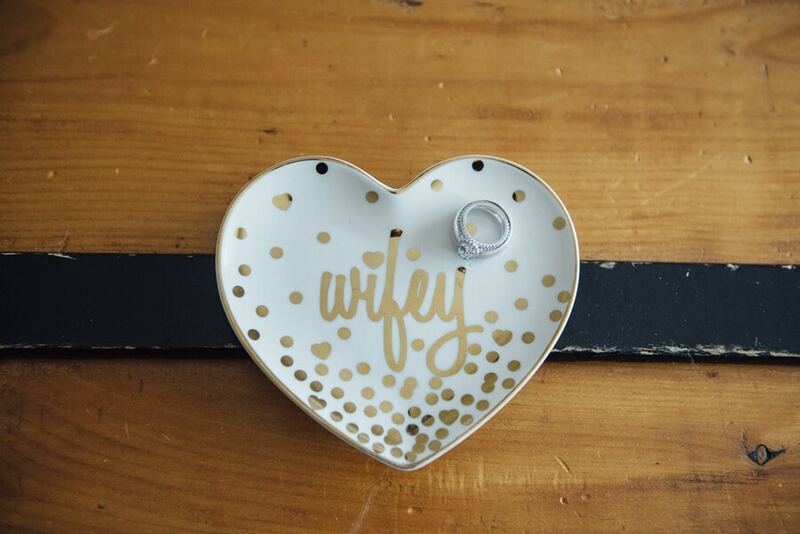 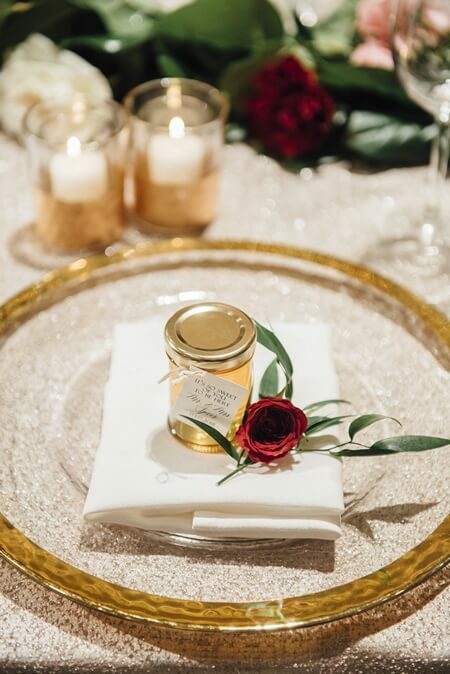 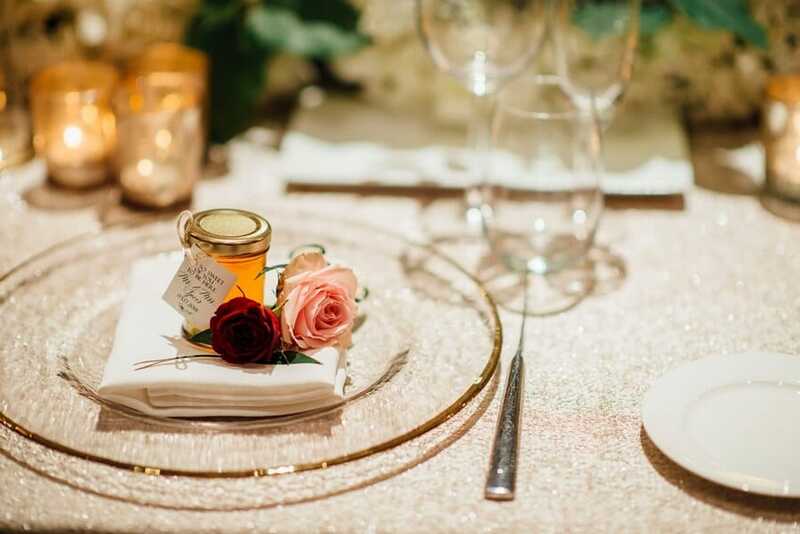 At the center of each plate was a glowing jar of honey with a little tag designed by Lovely Little Design Co.. Susan and Robert entered the room already dancing, signalling it was time to get the party started! 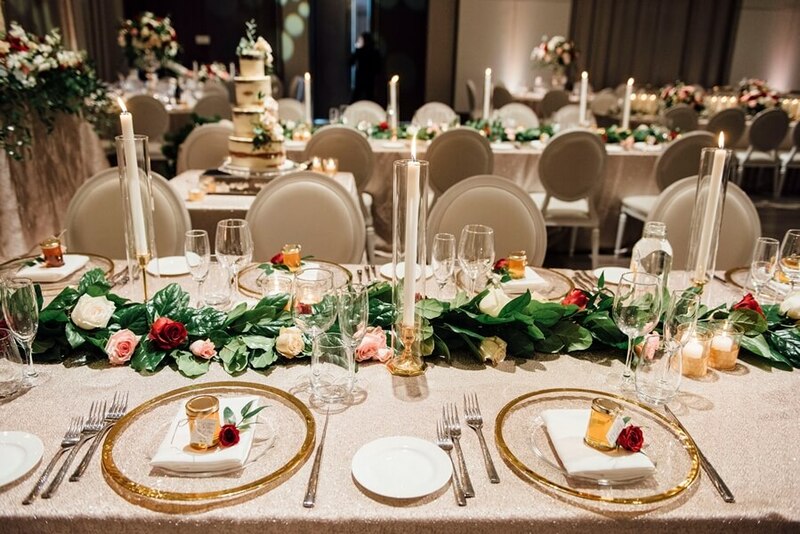 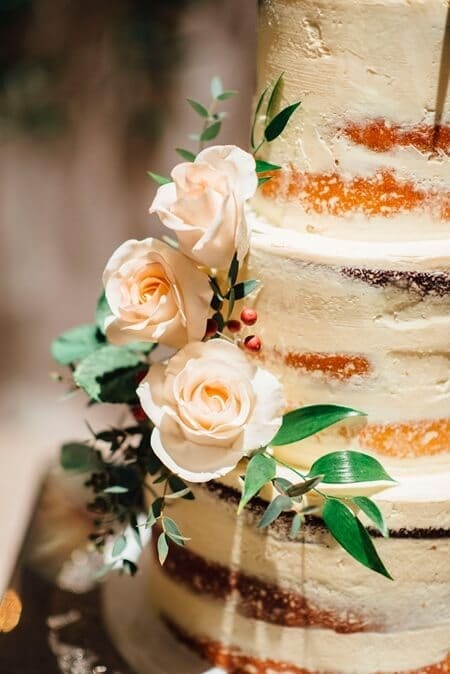 Guests ate an extravagant meal at the sparkling tables and after dinner enjoyed a heavenly naked cake made by The Cocoa Cakery. 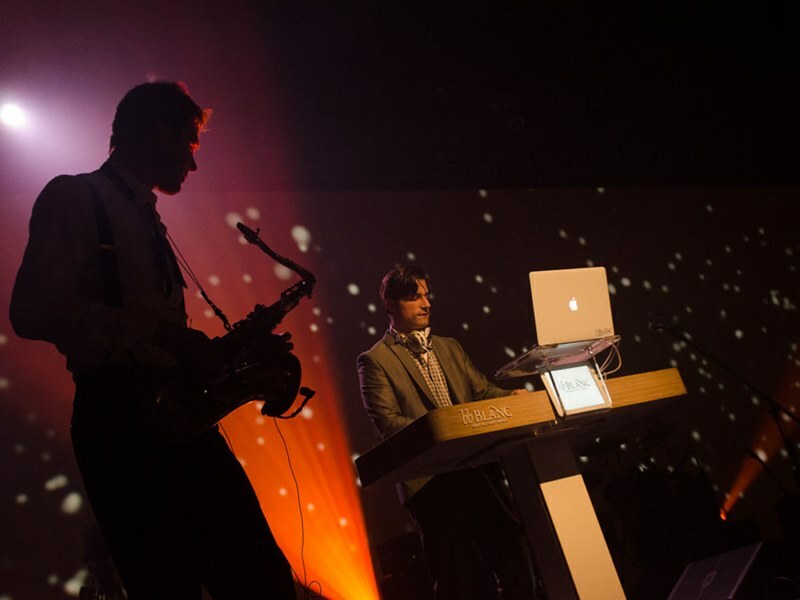 Everyone ended this unforgettable night by hitting the dance floor as bb Blanc Entertainment played great tunes. 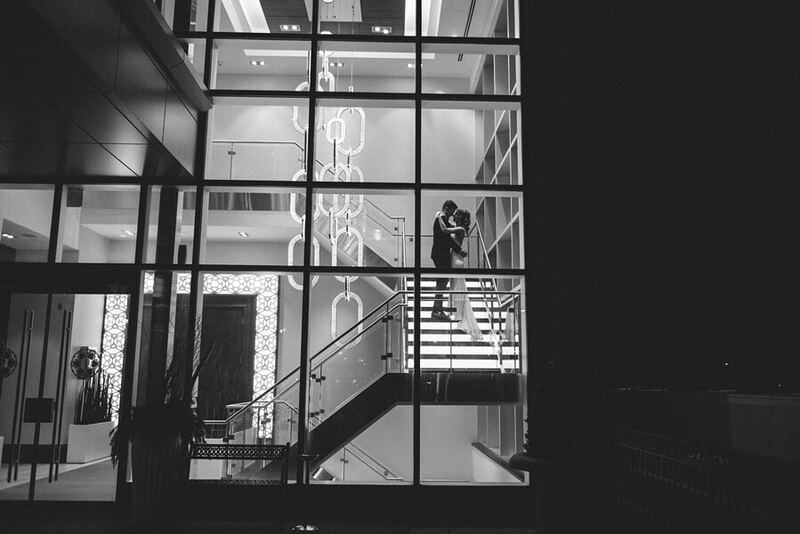 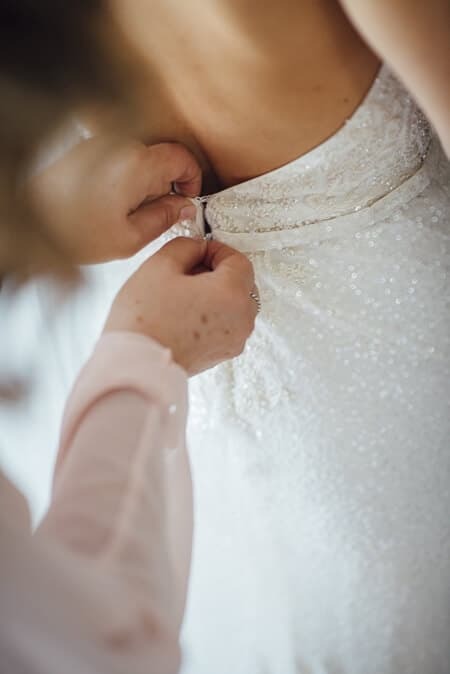 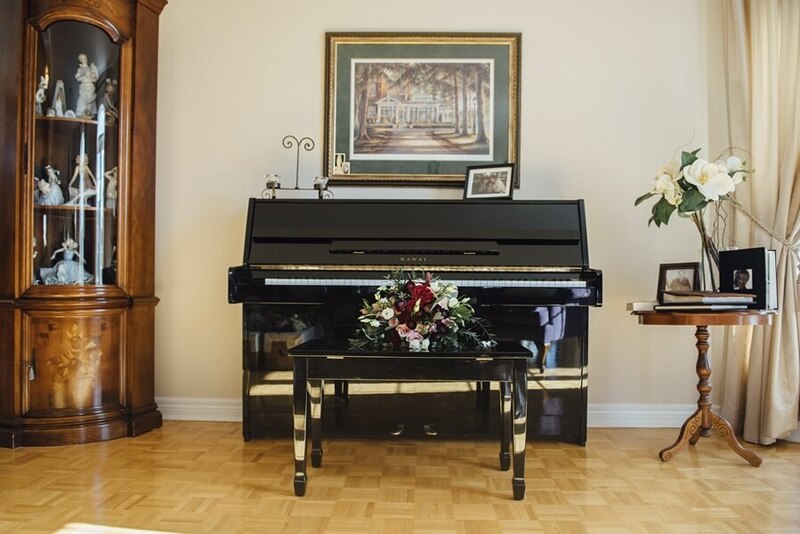 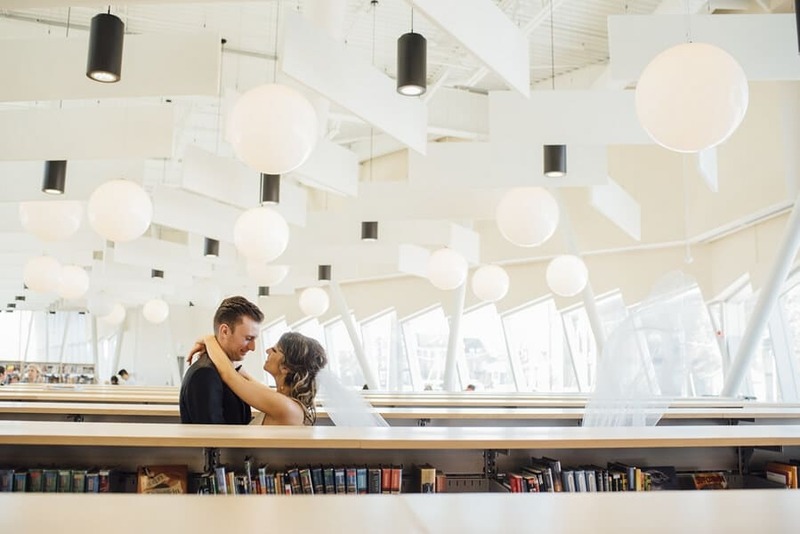 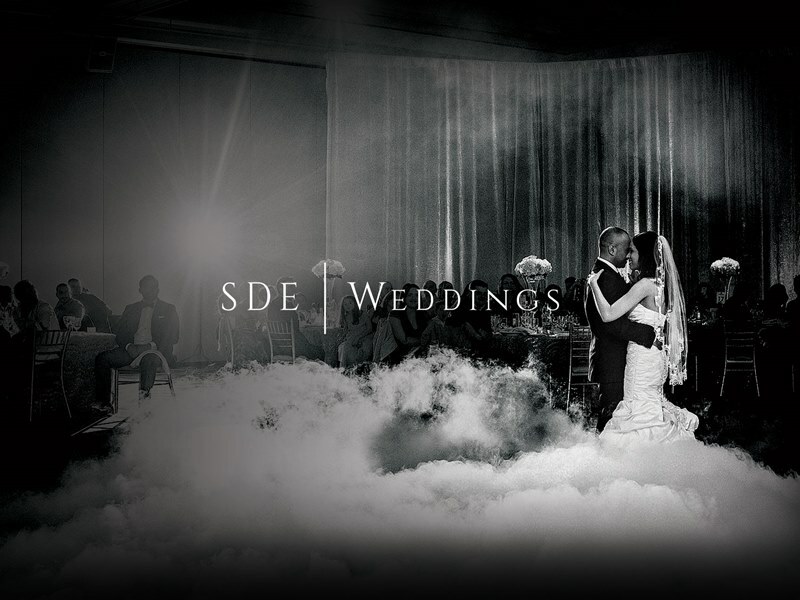 Find the perfect Toronto wedding venue Get Started!